Yahoo has just recently announced it would become the default search engine on Mozilla Corp.'s Firefox browser in the United States -- both on mobile and desktop devices. Yes, starting December of this year, Firefox browser users in the U.S. will start having Yahoo as the default search engine on mobile and desktop Internet. 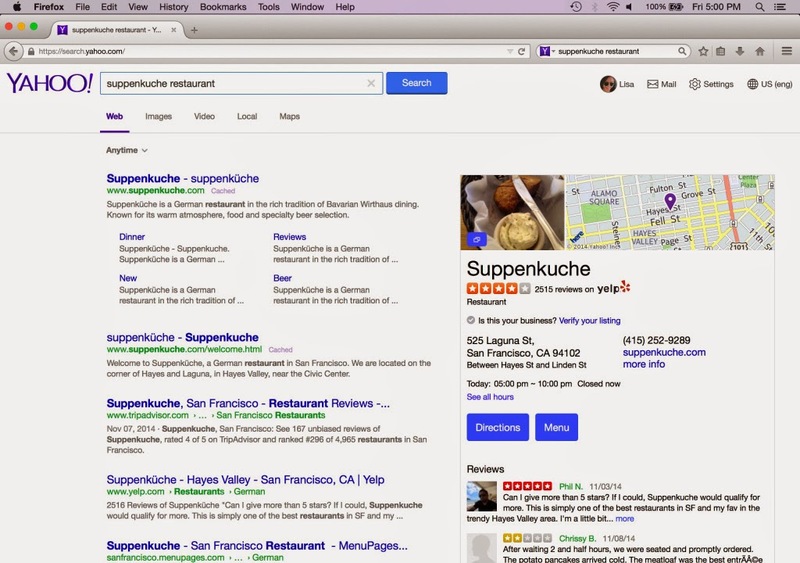 Here's what Firefox (U.S) would look like, when its search partnership with Yahoo will commence soon. In line with this, Yahoo will reportedly launch a new search experience for Firefox users in the country, and it will go live at the same time Firefox makes the switch away from the search-giant Google. As initially reported, the new search experience that Yahoo promises, would include a "clean, modern and "immersive" design reflecting input from the Mozilla team." Mozilla will use Yandex Search in Russia and Baidu in China as default search engines. Some other local search engines, including Google will remain as built-in alternatives though. This means users still have that option to switch if they want. Google has always been the default search engine in Firefox for many years past, and in fact, Mozilla Foundation has long made most of its money through its search partnership with Google. Based on the 2012 data, 88 perent of Mozilla's income came from Google. But that contract will soon expire this year and it seems like Yahoo made an offer that Mozilla couldn't refuse or perhaps, Google itself, has decided to keep away from the partnership. “Google has been the Firefox global search default since 2004. Our agreement came up for renewal this year, and we took this as an opportunity to review our competitive strategy and explore our options.